Heroes don’t have to be big. They don’t even have to be human. As long as they’re wise and brave–and can hop like the dickens, they meet the hero (or in this case, shero) qualifications. 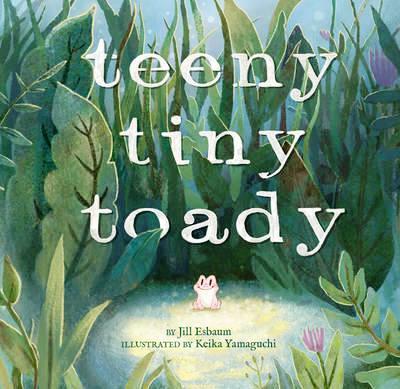 And that brings us to award-winning author Jill Esbaum’s newest picture book, Teeny Tiny Toady. In the book, Teeny is a…well, teeny toad who is the youngest and smallest in a family of well-mannered toads. She has seven fat, moist-looking brothers and a beloved mother who has just been scooped up by an unknown human hand and plunked into a pail. Teeny is horrified and rushes to her brothers for help. Unfortunately, they are a bumbling sort and experience a series of unfortunate events as they try to figure out what to do. They also ignore Teeny’s suggestions, but like most brilliant females, she cannot be ignored for long. And thereby hangs a tail–or better yet, a frog leg. 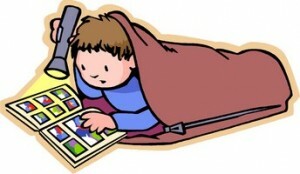 Written for pre-school to 2 (ages 4 to 7), this book is packed with goodies. First, it’s written in fun, precise, toe-tapping rhyme. Second, it proves that good things come in small packages. And third, it celebrates GIRL POWER! After all, Teeny is a girl and the youngest of seven bulbous toad brothers, but with all their bluster and bravado, they still can’t out-do Teeny. Not one little bit. Great for science class, as a funny supplemental text during “show and tell” day, or as a humorous addition to any child’s library.